A significant portion of Invisalign orthodontic patients are teens. However, the Invisalign team noticed that, with standard Invisalign aligners, many teens ran into certain problems unique to their demographic. With Invisalign Teen, the makers of Invisalign have addressed these issues, making Invisalign more suited for the specific needs of teenagers. Invisalign Teen aligners all have compliance indicators. These small blue dots fade away after a full two weeks of wear. 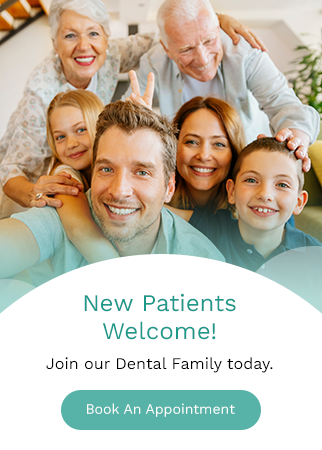 This addition was made because often, teenage Invisalign patients are less compliant to their treatment schedule than adult patients are. When we say "compliant", we're referring to how closely a given patient follows the instructions given by the orthodontist for aligner wear during treatment. For a variety of reasons ranging from discomfort to forgetfulness, teenagers tend to remove their aligners more frequently, and leave them out for longer intervals than adult patients do. As a result, it can sometimes be difficult for teens to figure out how much longer they need to wear their current aligners. The compliance indicators help teens get back on track with their treatment because they will only fade away once the aligners have been worn for a full two weeks-worth of time, letting them know when it's time to change. With the addition of eruption tabs, Invisalign Teen can be prescribed for teenagers whose adult teeth are not quite finished erupting. These tabs leave space in the aligners for the teeth to finish growing in. 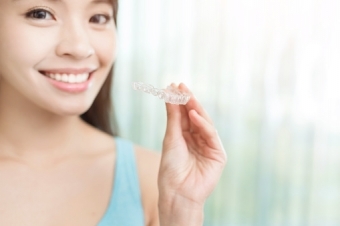 Because teens take their aligners out more frequently and for longer periods of time than adult patients do, they are at a greater risk of losing or damaging them. Invisalign Teen comes with replacement aligners so that if a set of aligners is lost or damaged, treatment can continue without setbacks. Considering Invisalign for your teen? Come talk to the orthodontists at Harker, Chan & Associates in Calgary today!